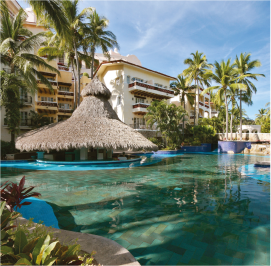 This beach front swim-up bar is an ideal place to relax. Here you can read under the shade of large trees and tropical palms or simply enjoy the sun and be pampered by our bartenders. Choose your favorite “signature cocktail”, or opt for any special frozen beverage or favorite drink.